This poster style print is available in Color or Black and White. This image was taken on January 18th, 2015. It is a composite panorama of six verticle images. 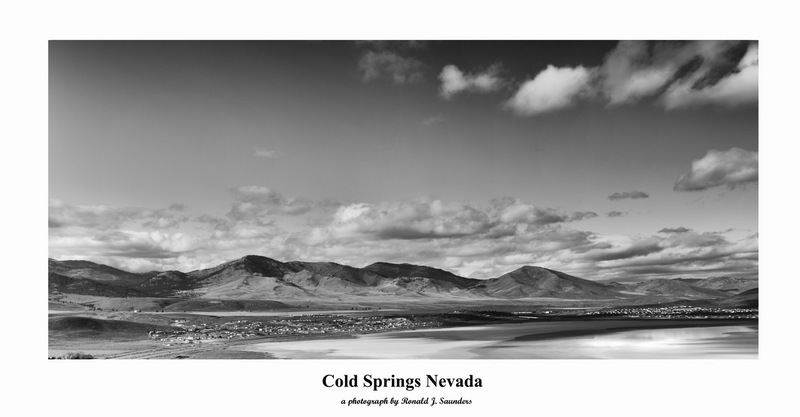 This print measures 24" by 48 inches over all the white space so you can place it in a 24x48 inch frame. Photo © copyright by Ronald J. Saunders.